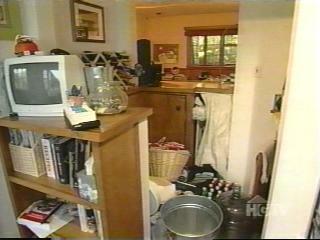 I don't remember when this episode first appeared.� I missed recording the original, but a friend called February 8, 2003 and told me to flip to HGTV.� Here's what I saw. 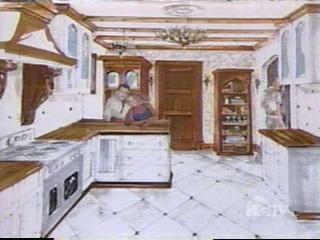 Designer's Challenge gives three designers a chance to pitch their ideas to a couple.� Once a couple picks a designer, they do the remodeling job.� The cameras record the before and after.� Jimmy didn't seem all that interested, and was away "at the office" during some of the show. 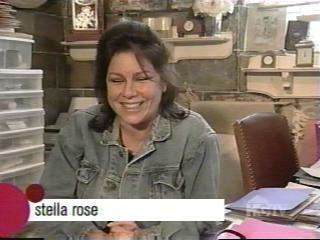 Three designers gave their ideas and Stella Rose was chosen to remodel the kitchen with their $50,000 budget. 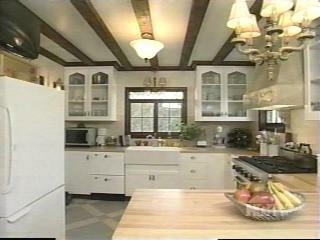 The old kitchen was cramped. 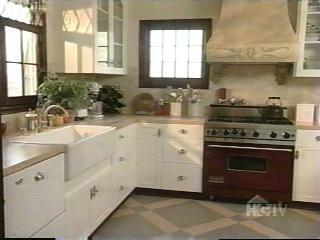 The new kitchen isn't.� Blah blah blah. Thanks designer lady.� You made our house a home. Touching, huh? 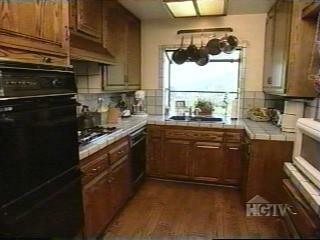 Designer's Challenge airs on HGTV.